1. 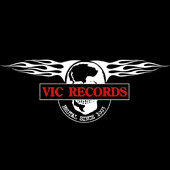 Hail Roel and Vic records! please tell to our readers about the beginning! 2. Your first release is Katatonia's 1992 demo "Jhva Elohim Meth". Why a band from Sweden and not one from Netherlands? Yep, well, I was totally into Swedish death metal, went to Stockholm each summer to meet my friends in Entombed, Therion, Carbonized, Afflicted etc etc..So it was obvious a Swedish band would be number 1:) Haha, no, it wasn't intentioanlly a Swedish one....Of course I knew many great Dutch death metal bands.. Went watching Sinister, Gorefest ect in their demos days each weekend...But somehow my first 4 releases were Swedish. Trying to cacth up Ducth releases now with Weapons to Hunt, Polluted Inheritance, The Gatherng, Phlebotomized, Swazafix ect, haha. And more to come, like Obtruncation (re-issue of the debut and a brand new one!! ), Eternal Solstice debut re-issue,and some more!! 3. When did you started, what genres did you wanted to focus on? 4. Please share some infos about Your artists and last releases! 5. What is Your opinion about music industry today and free downloading? 6. Would You be so kind to recommend us some Dutch bands? Of couse, haha... First of all the bands we all know: Sinister, Asphyx, Thanatos, Hail of Bullets, Bodyfarm, Houwitser....Phlebotomized will do some live shows and might return, Weapons to Hunt did a nice abum;). Pentacle is great and are still around. And the early 90's we had MANY great bands like Polluted Inheritance, Swazafix, Bluuurgh, Dissect, Mourning, Eternal Solstice, Threnody, Burial, Judgement Day, Dead End ect etc...And as said, Obtruncation will do a new album soon! Do you know their demo 2 from 1992? One of the most heavy, brutal intense deathmetal ever emerged from the Netherlands!!!!! 7. Were you in contact with bands from Hungary, Ukraine, Romania or Moldova? from Sear Bliss is a long time friend. No releases from the other areas you mentioned. Ukraine has a great scene though! 8. What are Your favourite releases from last year (including Vic-records ones)? Listening to Bodyfarm a lot these days, great album on a great label. All Asphyx works are great, Johansson & Speckmann is a real great old school album (out in June)...Also in a Greek metal trip these days, old Rotting Christ, Varathron, Necromantia and Thou Art Lord are extremely great! 9. Could You recommend us some foods, drinks from The Netherland, especially from Your area? 10. Apart working at Vic records do You have another job? Do You have any hobbies apart music? 11. Have you organized any concerts? 12. What can you tell about your future plans? Some Dutch underground pearls re-issues of course! Also some great German re-issues are coming up: Torchure and Ashorted Heap!! Remember those bands? 13. Bedankt/Thanks for the interview. The last (blasphemic) words are yours! THANK you, Georg! Keep on supporting metal! Much appreciated!